If you have any questions or comments please click contact us and we will get back to you shortly. 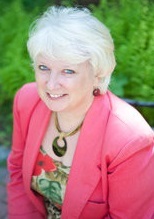 Jennifer has lived and worked in the New Hampshire Seacoast for over 20 years. Before joining the Chamber, Jennifer served as the Executive Director of Leadership Seacoast, a nonprofit organization whose mission is to develop a base of effective, knowledgeable, and engaged community members through the exploration of community issues. Jennifer worked with New Futures as Deputy Director and Vice President of Administration and Programs and held roles with the American Cancer Society in New Hampshire. Prior to coming to New Hampshire, Jennifer worked in Atlanta with the Centers for Disease Control and Prevention, and Battelle Centers for Public Health Research and Evaluation. Jennifer received a BA in Psychology from Ithaca College and a Masters in Public Health in Behavioral Sciences and Health Education from the Rollins School of Public Health at Emory University in Atlanta, GA. Jennifer is a graduate of Leadership New Hampshire, was named one of NH’s 40 Under 40 by the Union Leader, and has served on several state and local Boards of Directors. Bobbi grew up in Barre, Vermont and has lived on the the New England Seacoast for many years. She currently serves as the Member Services Director and is celebrating her 10th anniversary next year with the Exeter Area Chamber of Commerce (EACC). She brings 40+ years of customer service experience, 12 years of Chamber experience and has the most amazing rapport with EACC members. Her warmth and welcoming demeanor is truly the backbone of the Chamber. Bobbi lives on Salisbury Beach with her husband Bob and has three adult children but her pride and joy is her four grandchildren: Bjorn, Mikah, Kaiden (triplets), and Xander (singleton). Jessica relocated several years ago from Portland, Maine for a marketing position at the Board of REALTORS in Bedford, New Hampshire. 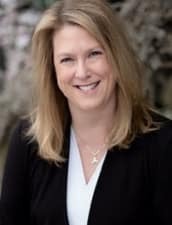 She has her Bachelor’s Degree in Business from Southern New Hampshire University and in 2014 she was promoted to Executive Director at the Board of REALTORS. Her passion for event planning lead her to begin an event planning business in 2017 (Jessica Martin Events) where she specialized in planning weddings and nonprofit events. Now as the Events and Marketing Director for the Chamber she is able to combine her business background with her marketing/event planning background to support Chamber members. Jess lives in Manchester with her husband and two fur babies. They are excited to be expecting their first child in January of 2019 and hope to eventually relocate to the Seacoast.